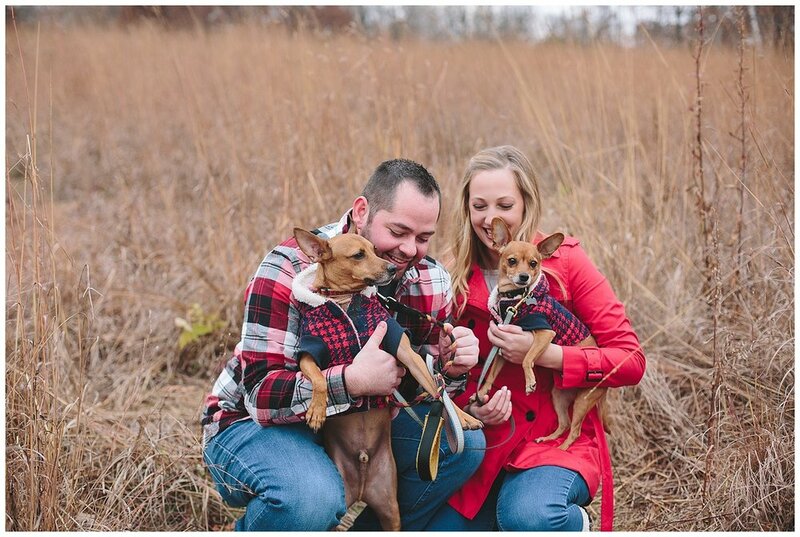 Marie, Stephen and their two dogs met me on a chilly Fall evening for their engagement session. 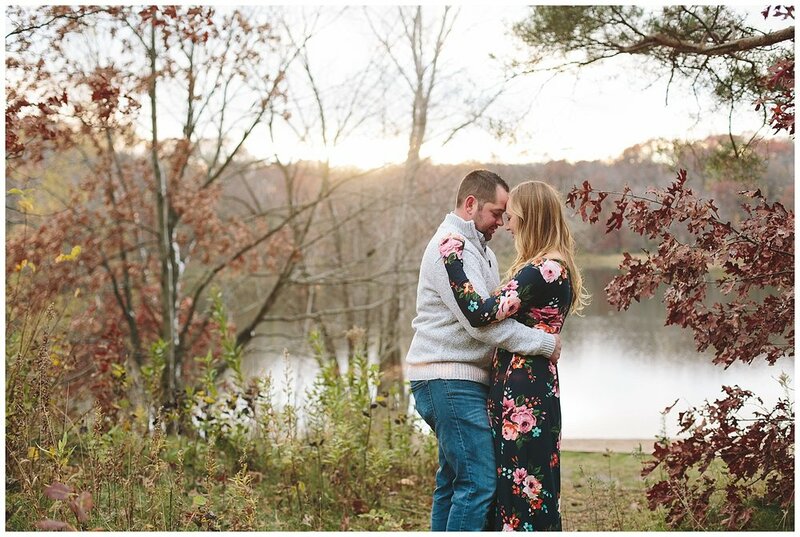 They wanted to do their session at a location with lots of nature that would have similar vibe to their wedding venue. We landed on Lebanon Hills Regional Park in Eagan, MN. The day we selected was the first chilly Fall afternoon. Not wanting to lose the last of the Fall colors, we bundled up in layers and braved the weather. Thankfully, before Marie and Stephen's session ended, the sun decided to poke it's head out and warm us all up. We even got some really cute photographs with awesome sun-flares and glowing hair-light! 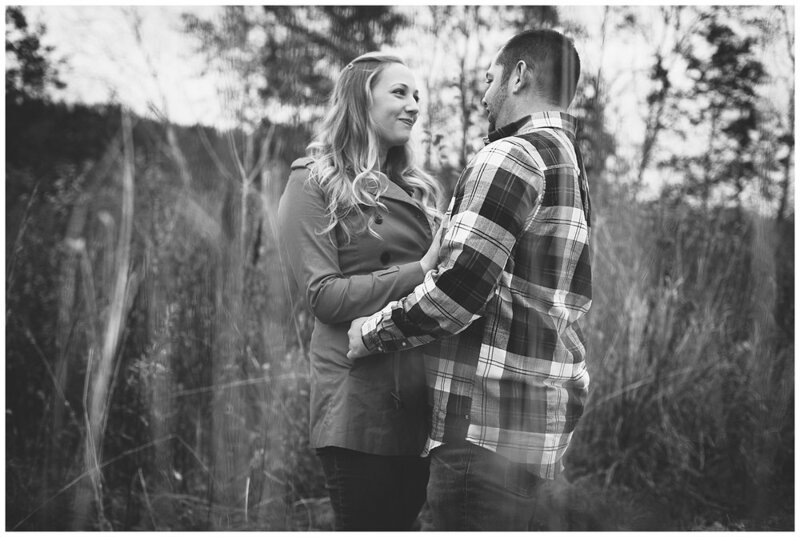 I'm so excited to photograph Marie and Stephen's wedding this summer at Dellwood Barn Weddings!